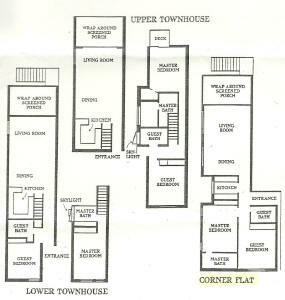 2 bedroom unit floor plans. Odd number units first and second floor, even numbers second and third floor. Plans for I, J, and K units. 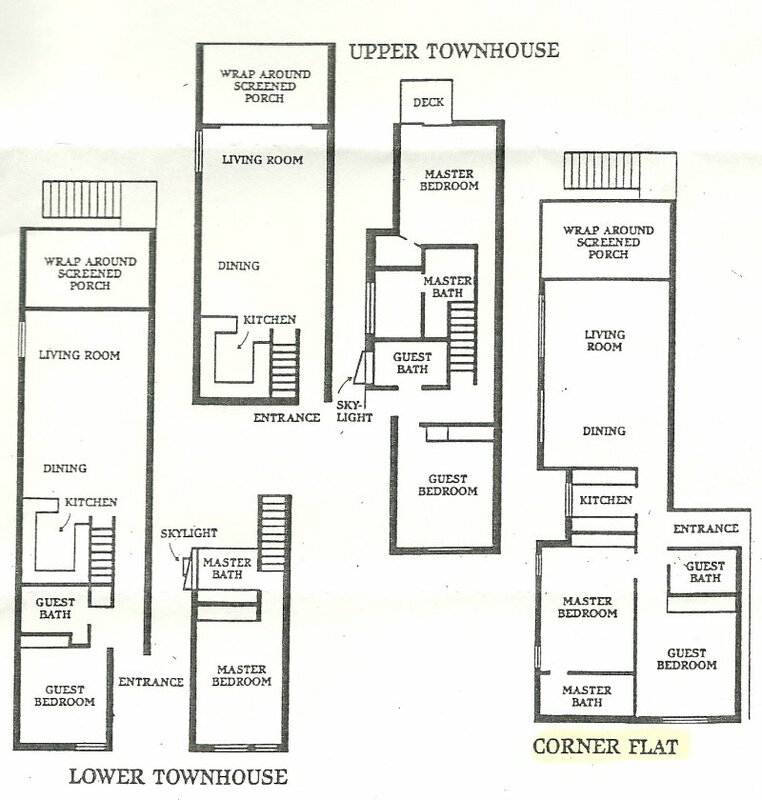 2 Corner Flats are located at each side if I, J, and K and are one floor units and are wheelchair accessible. 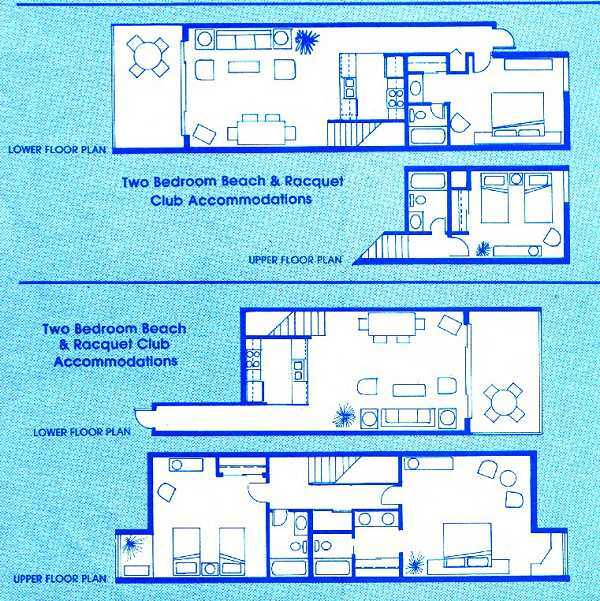 One bedroom floor plan (not part of timeshare) also shown for convenience of renters.